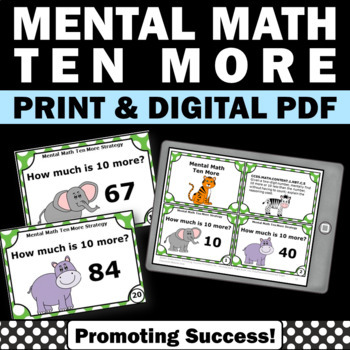 You will receive 30 printable math task cards for students to practice the concept of 10 more. 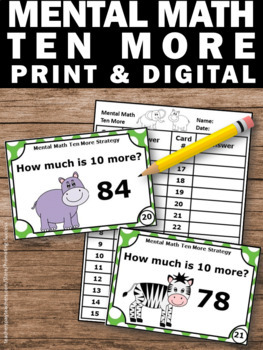 They work well in math centers or stations as a review, test prep, formative assessment or as extra practice for special education. 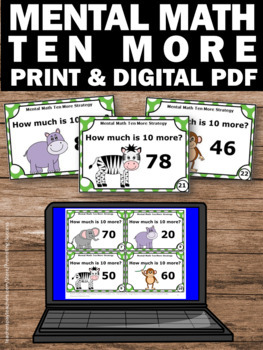 The first ten cards are base ten numbers. 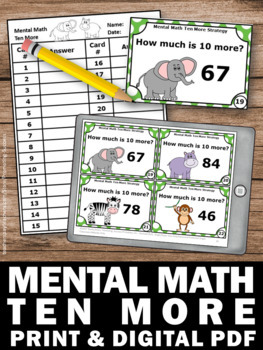 The other 20 cards are numbers up to 99. You will also receive ideas for games and activities, including a scavenger hunt and SCOOT.